Safety has become a prime concern for many car buyers when they are planning to buy new cars and therefore automakers like Buick have made sure that they incorporate the best technologies that enable them to come up with better safety features for the consumers. 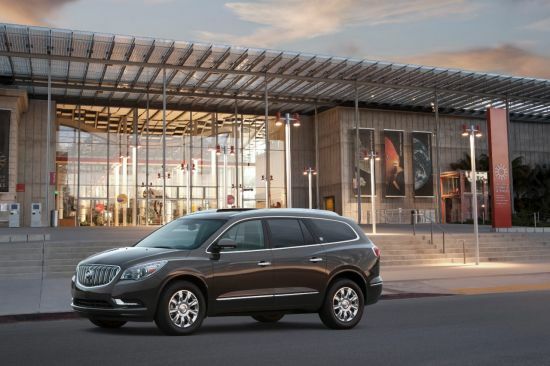 The all new 2013 Buick Enclave is among the top 2013 vehicles that have received five star ratings for better safety and protection by IIHS. Buick revealed that the new 2013 vehicle is equipped with standard front center air bag that offers maximum protection and therefore has received five star ratings from National Highway Traffic Safety Administration and has also become the 2013 Top Safety Pick by the Insurance Institute for Highway Safety. Buick claims that they have provided equal attention to the luxury options in the vehicle since 2013 Buick Enclave is a luxury crossover SUV but safety has always been the key factor that makes this car stand out of the competition. Gay Kent GM General Director of Vehicle Safety and Crashworthiness said that safety is the key factor especially when the car is popular among family car buyers. He said that Enclave is designed to offer maximum luxury and comfort to the passengers and driver but it also offers excellent crash safety with the help of front center air bag which has been introduced for the first time in the industry. He said that while the front side air bags protect only the driver and front passenger the new front center air bag protects both the front passengers at the same time from crash damage.